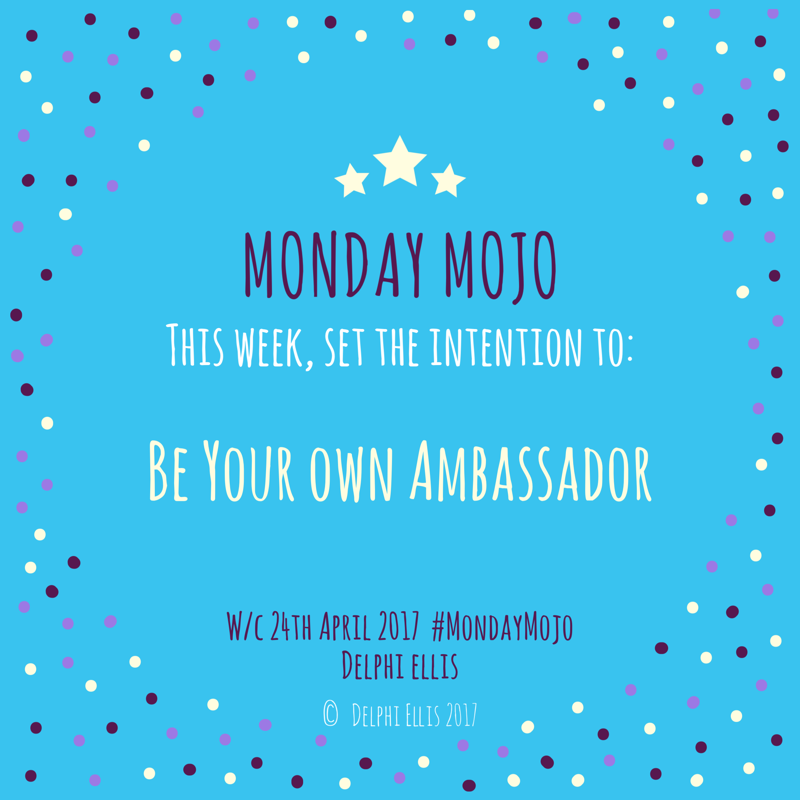 Monday Mojo – Feel-good motivation for the week ahead: Be Your Own Ambassador. Now, whether you believe in the influence of the planets or not and that, according to my friend Lisa, several are in retrograde at the moment, there’s definitely something happening at the moment which is focusing on communication. And by that I mean poor communication of all kinds: misunderstandings, fake news, unhelpful approaches to difficult conversations – the whole shebang (I checked, that is a word). It might be an email or text that’s misread, the “wrong” word or tone used in conversation, messages not being read (or replied to) or someone is completely not on your wavelength. It’s frustrating. And seems to be causing a lot of upset. What this might mean for you right now is that you may be feeling unheard, misunderstood, out of the loop or just generally as if you’re fighting an uphill struggle a lot of the time. I hear you. his week set the intention to Be Your Own Ambassador. Sit and think about what you’re good at, and all the reasons you are good at what you do – whatever that is. You might think of one thing, or many – either is fine. If you are good at communication, think about (and write if you want) examples of where and why this went well. (Ask for help if you’re not sure, or look at how to access the Members Area below for inspiration). If you need to have a difficult conversation with someone, remember all these things you’re good at so that when you talk, you’re speaking from a position of strength – AND sticking up for yourself. Don’t assume you’re wrong, and don’t say sorry if you’re not at fault (a LOT of people do this). And don’t just Be Your Own Ambassador in the company of others, sing your praises to yourself, reminding yourself of how you are striving for a happier, healthier life. In the end, no one can be you like you are, so become you’re own biggest fan. You could also try some Mindful Communication if being assertive is what’s needed. For expanded insights and positive mojo straight to your inbox, click here. You will also receive access to the Members Area which includes templates and action plans designed to help you sparkle.